Chris Bohjalian’s latest novel The Light in the Ruins is set in Italy, the time periods alternating between 1943/44 and 1955. During WWII, when Mussolini’s Italy is an ally of Hitler’s Germany, not all Italians are fascists, but they all have to choose sides, and whether they should fight or just quietly wait out the war. Survival is a precarious thing: If you help the Germans, you will be punished by the partisans; if you help the partisans, you’ll pay dearly from the hands of the Germans. So it is a no win-win situation. Which is exactly what the main characters, the Rosatis, experience. The Rosati family, the aristocrats living in a villa near Florence, welcome the Nazi officers who express an interest in the historical and artistic value of their estate. The Nazis collect art from all the occupied territories in order to keep it “safe.” The Rosatis know better than to believe them, but they are caught between a rock and a hard place. The father cooperates with the Germans in order to secure his family’s well-being. Two sons collaborate with them because they are conscripted. An eighteen-year-old daughter, Cristina, falls in love with a German officer, frequenting the villa. However, despite their amicable relationship with the allies, the Rosatis fail to avoid misfortune. The home that used to be their sanctuary eventually becomes their prison. Terrible acts of violence befall them during the war. A decade later, the war echoes, and it echoes horribly. Someone is after the family, killing one, then another, cutting out their hearts, threatening to finish them all off. In fact, the book starts with the killer’s chilling account of the first murder, and throughout the narration we feel scared for the lives of other members of the family. Serafina Bettini is a police detective investigating the serial murders. She too is scarred by the war, both physically and emotionally, and she cannot explain why she feels personally connected to the Rosati family. That is, until she regains her memory of her harrowing ordeal back in 1944. The events taking place in 1955 are just as attention-grabbing as the events of 1943. Great suspense. I couldn’t guess who the killer was until the last revealing chapter. Chris Bohjalian is a very good writer. This is his second novel that I’ve read and I’m going to read all of his books. And here’s what John Grisham has to say about his latest novel, Sycamore Row, published last year. It’s a well-known fact that Mr. Grisham had a law degree, and it’s pretty common for writers to bring their personal experiences into their fiction, but I didn’t know that there was a lot of autobiography in A Time to Kill, the prequel to Sycamore Row, as the author reveals in this interview. One of the anchors cites The Washington Post, that if (and I paraphrase) William Faulkner were still alive, he would’ve raised a glass of good wine and toasted John Grisham’s talent. I agree. He would’ve certainly toasted Sycamore Row. Faulkner, a Nobel Prize winner, was a Southerner, and his books were set in the South; so yes, he would’ve appreciated John Grisham‘s depiction of the area, its people, their problems and struggles. 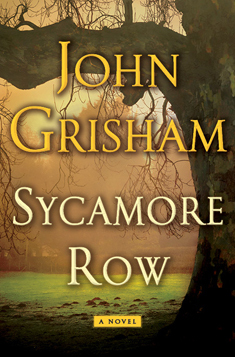 John Grisham’s Sycamore Row (2013) is a sequel to his first bestseller A Time to Kill, published two decades ago, and it is equally good. Seth Hubbard, a seventy-plus-year-old millionaire, loses his battle with cancer and, unable to endure the pain anymore, takes his own life. He leaves a handwritten will that negates the previous one, made out a year ago at a reputable law firm. And that’s what causes the drama of the century in his county. Seth’s will is so outrageously weird that no one is able to understand his decision, much less approve it. Not even the beneficiary, bequeathed ninety percent of Hubbard’s wealth, understands it, and certainly not the people who get cut out of the will. Needless to say, everyone in the community questions the dead man’s sanity—Was he under the influence of the painkillers? Was he coerced?—even though he claims in his will that he was sound of mind and alone at the time of composing it. A day before his suicide, Mr. Hubbard mails his will to Jake Brigance, a local young attorney, famous for winning a controversial case three years earlier (described in A Time to Kill). In a letter attached to the will, he asks Jake to take the case because he is the only lawyer in the area that he respects and trusts. He warns him, however, about the “trouble” that his testament will most likely cause. And that’s exactly what Jake sets out to do. And the fight involving a court drama begins. It is an ugly fight, which, as we all know, often happens in real life, when it comes to contesting an “unfair” will. Which is what makes this story twice as fascinating. Just like its prequel, Sycamore Row is a page-turner. John Grisham is a masterful storyteller, and I can’t wait till his next book. There is no interview on YouTube with A.S.A. Harrison, the author of the psychological thriller, The Silent Wife. But, luckily, there is a book trailer. Have a look at what such bestselling authors as Elizabeth George, Tess Gerritsen, Kate Atkinson, and others have to say about this wonderful novel. I totally agree with their opinions. A.S.A. Harrison’s The Silent Wife is a psychological drama that any married couple can relate to. Of course, this is not to say that any wife who is distraught with her husband would plan to murder him, but that’s what this novel is about. 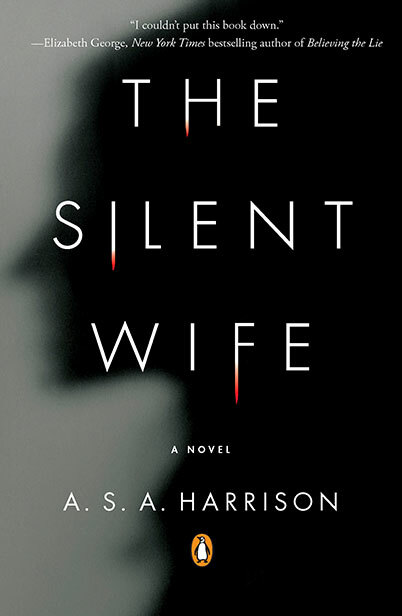 The Silent Wife is reminiscent of Gillian Flynn’s Gone Girl—both in its theme (husband’s infidelity) and format (chapters alternate voices, Him & Her). Jodi and Todd have been living in a common-law marriage for twenty years, and they have been quite happy with each other, until Todd hits a cliché midlife crisis and goes astray. Jodi, a perfect wife, who has always believed that she’s in charge of her life, now feels lost. That’s why she keeps holding on to the status quo. A therapist, whose job is to heal her patients’ minds and relationships, she is unable to deal with her own problem. First, she is ignorant of it, then she’s in denial, and when she finally faces it, she is…well, as the title suggests, silent. This woman’s inertia makes you feel so infuriated that you want to grab her by her shoulders and shake her into action, saying, Don’t be such a doormat, for Pete’s sake, do something! She does something, all right. And it’s not what a sensible woman, with a doctorate degree in psychology no less, would do. She doesn’t confront her cheating husband, doesn’t throw a fit, doesn’t kick him out. She goes for the jugular. Then again, she does it only when she is “pushed” by someone else. Strangely, even though Todd’s betrayal and their crumbling marriage have been the only things that have occupied her mind for months, Jodi does what she does without thinking it through, without predicting the consequences. The Silent Wife is a fascinating tale of love, betrayal, cruelty, and revenge. Although the author states right in the beginning that the wife will murder her husband, the suspense is not ruined for us. It keeps us intrigued all the way through. We also keep flipping pages because it’s damn well written. I’m very sad that A.S.A. Harrison died in 2013. She was a very talented writer. Hey, year 2014! I’m welcoming you with open arms. I hope you will be happy to everybody! The previous year was pretty good to me, in regards to my writing. 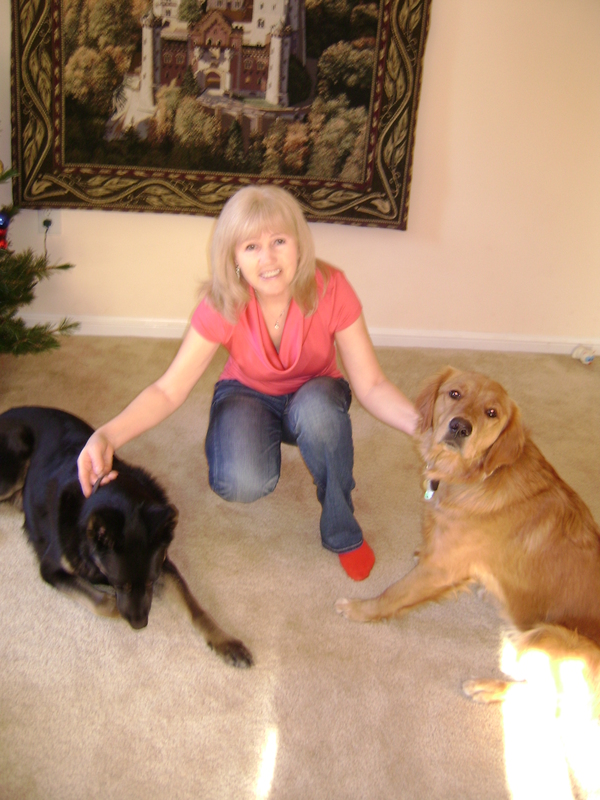 My first novel, Disengaged, co-authored with Cindi Rockett, was added to the Fairfax County Public Library and now four copies are in circulation. My second novel, Without Thinking Twice, was chosen to be included in the Abbott Press 2013 honorary catalog, which made me proud and delighted. On January 3d, Abbott Press published my third novel, A Measure of Guilt, a mystery, set in San Diego, with Nick Kirrov as one of the main characters who first appeared in Without Thinking Twice. My talented daughter made a book trailer for each of my three novels and posted them on YouTube. Now, when I watch one or another, the memories of creating that fictional world rush on me and I feel exhilarated. Frankly, I don’t even think of my characters as fictional, but very much real. That’s why I don’t want to let them go, but bring some of them into my next novel. And that’s why I’m writing a sequel to A Measure of Guilt, tentatively titled Trust Me, Kate. I’m currently on my fourth draft. So, like I said, 2013 was productive for me.